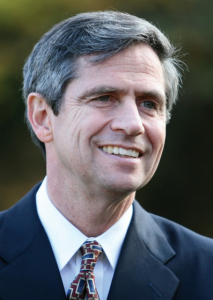 If Sestak wins the 2016 Democratic nomination he will be the first major party candidate to secure a rematch in a Pennsylvania U.S. Senate race in the popular vote era. Smart Politics is a non-partisan political news site authored and founded in 2006 by Dr. Eric Ostermeier, a Research Associate at the Center for the Study of Politics and Governance (CSPG) at the University of Minnesota’s Humphrey School of Public Affairs. If you have any questions about Smart Politics please contact the author. Originally posted here. Republished with permission. Phiny armchair Admiral who never was at risk but played Pentagon politics all his military career, like Colin Powell. Never in my life have i seen a local district office of a Dem. State senator condone the mistreatment of a disabled man and his family by one of it’s employee so badly the man is considering suicide due to the fact that they are trying to kick them under the bus to get them out of their hair when he came to them for help about the employee they turned their back on them, I’,disgusted, embarrassed, now he sees that this is the acceptable behavior by these people in how they treat the disabled, I never seen anything like this…..